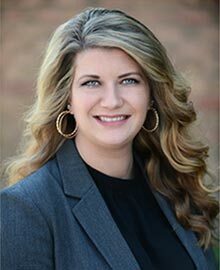 Natalie Muehlfeld has more than 10 years of experience in the restaurant and hospitality industry and joined the Cameron Mitchell Restaurants (CMR) family in 2007. Before beginning her career with CMR, Muehlfeld worked in retail for several years before she saw an article in the local newspaper about the re-concept of Martini Italian Bistro in Polaris to Marcella’s. She was hooked after her first interview, and fell in love with the company after orientation when she learned about the strong company culture and philosophies. Muehlfeld has experience as a server, bartender, lead trainer, supervisor and beverage manager at several CMR concepts, including Marcella’s, Molly Woo’s and The Guild House. She currently serves as the general manager at Hudson 29 Kitchen + Drink in New Albany. The greatest lesson Muehlfeld has learned in her professional career has been to treat others as you would want to be treated and to confide in your team. She also believes that the greatest successes have come from learning and growing with her team. Muehlfeld truly feels that there hasn’t been a day she hasn’t been excited to go into work because of the people she works with and the company’s culture. Muehlfeld resides in New Albany. When she’s not working, she enjoys spending time with her husband, Kelby, and their friends and family. They also enjoy new culinary experiences in Columbus and traveling to new beaches and cities.